BOCA RATON, FL — Boca Raton Football Club continued its winning ways on Friday night as they defeated Palm Beach Flames 4-2 at home. 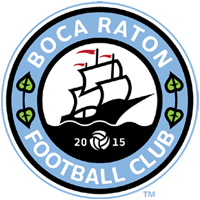 Boca Raton FC started off the game with the foot on the gas, scoring three goals within 10 minutes of each other. Maher Soua started to scoring for Boca Raton FC as he coolly placed a penalty kick the opposite side of the keeper. Noah Graziano then headed home the second goal of the game, and Deniz Bozhurt added the third after beating the keeper on a beautiful one-on-one play to put the home side with the early 3-0 lead. However, the home side seemed to lost some of it’s early magic and finished the first half flat and even allowed Palm Beach Flames to get a goal back. Boca Raton FC started the second half better than how they finished the first. With its intensity back, Boca Raton tried to extend the lead but every effort came up short. Two shots hit the crossbar, while 2 others missed the goal by inches. Boca Raton FC added its fourth goal of the game in extra time when Soua once again scored, making it his fourth goal in 3 matches.